This Irish wedding cake topper features a double sided Claddagh design along with a continuous row of smaller Claddagh symbols embossed on the base. 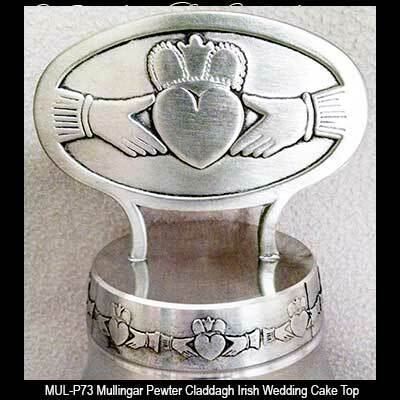 The pewter Irish wedding cake topper measures 4" wide x 5 1/2" tall and it is gift boxed a Claddagh legend card that is complements of The Irish Gift House. 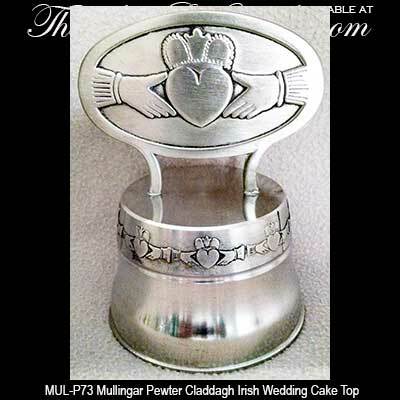 This Irish cake top is made in Ireland by Mullingar Pewter.